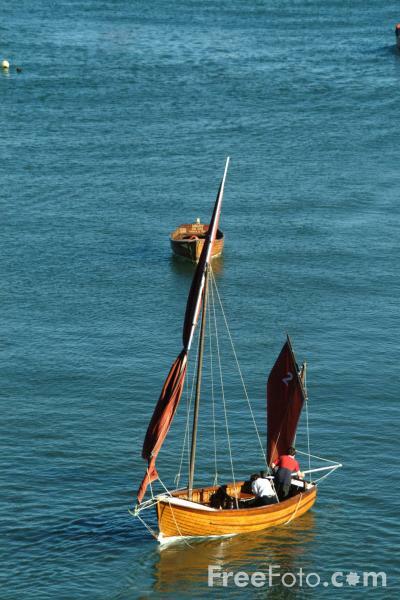 Picture of a Beer Lugger, Traditional Fishing Boat, Beer, Devon. The essence of the Beer Lugger is that it is a working boat rig. In a two-master the foremast is set right forward and the mizzen mast is set right aft, often outboard. This leaves the boat uncluttered for working. VIEW: More images from the category Beer, Devon or around the same time .